Too often, technologists become wrapped up in doom-and-gloom predictions about job-stealing, prejudicial, and potentially murderous AI. Fear sells, the saying goes, and that seems doubly true when it comes to emerging tech. But focusing on AI’s negatives blinds us to its positives. As my colleague Khari Johnson and I have written countless times, artificial intelligence promises to transform entire verticals for the better, from health care and education to business intelligence and cybersecurity. More excitingly, it’s laying the groundwork for new industries and pursuits of which we haven’t yet conceived. This week, MIT graduate student and postdoctoral fellow with Event Horizon Telescope Katie Bouman created an algorithm — Continuous High-resolution Image Reconstruction using Patch priors, or CHIRP for short — that combined data from eight radio telescopes from around the globe to generate the first image ever of a black hole. CHIRP — a three-year collaborative effort among MIT’s Computer Science and Artificial Intelligence Laboratory, the Harvard-Smithsonian Center for Astrophysics, and the MIT Haystack Observatory — reconstructs images while accounting for variations in signal strength, such that delays caused by atmospheric noise cancel each other out. In equally uplifting news, the University of California, Berkeley on Monday unveiled a humanoid robot with a depth-sensing camera and motorized arms, all of which can be controlled with virtual reality handsets and trained to manipulate objects using AI. Pieter Abbeel, a professor and director of the Robot Learning Lab at UC Berkeley and the roboticist leading the project, told The Verge that recent advances in machine learning made possible the new design, which has a bill of materials substantially lower than most comparable alternatives (around $ 5,000 versus tens of thousands of dollars). “There’s still a lot of challenges ahead, and it’s not like we think this specific robot is going in a home. [But] this is a design paradigm that takes us in a new direction,” Abbeel said. AI isn’t just setting the stage for new robots and astronomical visualizations — it’s enabling scientists to grow more flavorful herbs, too. In a study published in the journal PLOS One earlier this month, scientists describe basil raised in climatic conditions that were optimized to increase the concentration of compounds responsible for its taste. A machine learning algorithm trained on data collected via mass spectrometry and gas chromatography yielded surprising insights, like that plants lit 24 hours a day taste superior to those which experience extended darkness. Algorithms are transforming food in other ways. In February, IBM announced that it was teaming up with McCormick & Company to create new flavors and foods with machine learning. New York startup Analytical Flavor Systems’ platform taps sensory data and AI to suss out products’ flavor profiles and identify ways they might be improved. Meanwhile, companies like Los Angeles-based Halla are using AI to generate Netflix-like recommendations for grocery, restaurant, and food delivery apps and websites, in part by tapping databases of restaurant dish, recipe, ingredient, and grocery item taste and flavor attributes. And in the art and science realms, AI is obviating mundane and repetitive tasks that take time away from the creative process. Disney Research recently detailed an algorithm that generates storyboards from scripts, letting creators visualize scenes before committing hours to animating them. Meanwhile, other researchers are experimenting with systems that can hallucinate foundational sketches of cats, fire trucks, mosquitos, and yoga poses, and companies like Promethean AI are employing machine learning to help human artists create art for video games. Yet another novel use case comes from academic publisher Springer Nature, which this week published a hefty research tome containing quotations, links, and references collated by AI. That’s all to say that, for the many fears surrounding AI, there’s much good it can do — and already is doing. It’s important to keep that in mind in light of ongoing controversies. For AI coverage, send news tips to Khari Johnson and Kyle Wiggers — and be sure to subscribe to the AI Weekly newsletter and bookmark our AI Channel. I am trying to produce a function with a few sets of arguments, one of which can accept options. However it doesn’t seem to be responding to the changes that I accept. 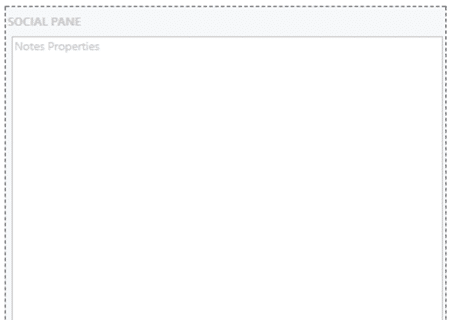 I cannot seem to get the option to be anything except the default value in the first line of the input. Is there something I’m not doing correctly, if so, how can I fix it? Artificial Intelligence (AI), machine learning (ML), and big data are some of the most trending business keywords you hear these days. Most businesses incorporate AI and big data into their existing workflows and processes. Many are even finding practical ways to use AI to improve, optimize, and automate their core processes. This affects businesses in many sectors, from healthcare to marketing, with one of the most important sectors being the energy and utility sector. In fact, renewable energy companies (wind, solar, hydro, nuclear) have greatly benefited from the power of AI, machine learning, predictive models, and data science over the past years. They have managed to lower their costs, make better predictions, and increase their portfolio’s rate of return. If your company operates in the energy sector – or consumes massive amounts of electricity – chances are that AI and data science can help to boost your business performance. What are AI, ML, and Big Data? AI is probably the broadest term of the three. The term was coined as early as 1956, referring to any machine that can conduct human-like activities. This means any machine which can recreate a specific task that a human would usually perform. For example, Google’s AI DeepMind learned how to play chess at a professional level using reinforcement learning in just a few hours. Another great example is natural language understanding, which is widely used in software like Alexa and Siri. Artificial intelligence nowadays is also known as Narrow AI because it is not a completely autonomous thinking entity, but simply a machine which can conduct a specific task very effectively. This is by far the most “hyped” term of today. You hear it everywhere, especially whenever AI is mentioned. Despite the two terms being related, they are certainly not the same thing. While AI refers to simulated intelligence in machines, ML is nothing but an interdisciplinary field which allows us to achieve some sort of artificial intelligence by using statistical techniques. In simple terms, Machine Learning algorithms allow a machine to train itself on a set of data so that it can learn how to perform a task more efficiently. Why are AI, ML and Big Data Trending now? The terms AI, ML, and Big Data were coined several years ago. So you might be thinking, why have we heard so much about them in the last five years? AI has been a buzzword several times over the past 60 years, and has gone through different stages of adoption. From being extremely popular to losing most of its funding in the 1970s (known as AI winter). Better computational power – Nvidia has been a cornerstone driver in the development of faster and cheaper Graphical Processing Units, which in turn are responsible for the rise of deep learning. GPUs now have thousands of cores and have greatly sped up deep learning algorithms. New, advanced ML algorithms – Some of the biggest companies in the world like Google, Netflix, and Amazon continuously work toward improving how they train and apply their machine learning algorithms. They have made huge strides and have created machines and systems that can now carry out specific tasks more efficiently than human beings. Big Data and HTAP systems – The emergence of big data and (HTAP (Hybrid Transaction / Analytics Processing) systems now allow for real-time insights and optimized decision-making capabilities. Additionally, companies in every sector collect massive chunks of data on a daily basis, which make up great datasets for training machine learning algorithms. How can Energy Businesses Benefit from AI, ML, and Big Data? As we covered above, ML is a subset of AI. Big data, however, works in synergy with AI and ML to improve systems and business processes. Due to recent and continuous improvements in technology, we can apply the following technologies to optimize the energy sector. One of the most interesting uses of AI in energy is grid management. Electricity is delivered to customers through a complex network (also known as the power grid). The tricky thing about the power grid is that power generation and power demand must match at all times. Otherwise, issues like blackouts and system failures can arise. Although there are numerous ways to store energy, the most common way is the ancient but still efficient method of pumped hydroelectric storage. It works by pumping water to a certain elevation and then harnessing it again by allowing it to fall onto turbines. When dealing with renewable energy, it is difficult to predict the grid’s electricity production capacity. After all, it depends on several factors such as sunlight and wind. When large swings in demand occur, it can be very expensive for countries which produce most of their energy through renewable energy sources. With most countries shifting towards green energy, responding effectively to swings in demand is becoming even more difficult. Germany, for example, plans to cover 80% of its electricity consumption using renewable energy by 2050. There are two main issues that countries like Germany will face. Firstly, swings in demand. It’s common for electricity demand to skyrocket on a specific day or period of the year (on Christmas for example). The second issue is weather volatility. If there is no wind, or the sky is cloudy, it can turn out difficult to keep up with electricity demand. In both cases, supplemental stations or fossil fuel-powered facilities need to make up for the excess demand. To solve these issues, many countries are teaming up with companies to analyze and predict weather data, electricity demand, and so on. Germany initiated a project with EWeLiNE, which aims at forecasting how much wind and solar energy to expect at a given time. This allows the country to make up for excess electricity demand by using non-renewable energy whenever necessary. In order to accurately match supply and demand, they use large historical data sets to train their machine learning algorithms – as well as data collected from the wind turbines or solar panels – to effectively forecast weather and power changes. Aside from helping to match energy production with energy consumption, AI is becoming a major driver in assuring the reliability and robustness of power grids. In 2003, a massive blackout in Ohio was caused by a low-hanging high voltage power line brushing against an overgrown tree. The power system alarm failed and there was no indication that the incident had occurred. The electric company did not discover anything until three more power lines started failing for similar reasons. Ultimately, this oversight caused a cascade effect, resulting in the entire grid going down. The blackout lasted for two days and affected 50 million people. Additionally, 11 people died and there were about $ 6 billion in losses incurred. Machine learning techniques can be used to implement predictive maintenance (PdM). In essence, power lines, machinery, and stations are equipped with sensors that collect operational time series data (data accompanied by a timestamp). From there, machine learning algorithms can predict whether a component can fail in X amount of time (or n-steps). Additionally, it can also predict the Remaining Useful Life of machinery, or when the next failure may occur. The main purpose of these algorithms is to efficiently predict machine failure, avoid blackouts or downtimes, and optimize maintenance activities and periodicity, thus cutting down on maintenance costs. Events like the Ohio blackout can now be averted completely. Ultimately, AI and ML can help energy companies switch from a reactive maintenance stance to a predictive maintenance stance. Besides weather forecasting and renewable energy source optimization, AI and big data are being used in fossil fuel energy source exploration and drilling. Two years ago, Exxon Mobil teamed up with MIT to produce self-learning submersible robots to explore the ocean surface. These robots will be equipped with machine learning algorithms to not only help them learn from their mistakes while conducting explorations, but also to carry out the same work that a scientist would, without the risk. The robot will explore, record data about the ocean floor, and make an analysis based on the data. This will allow for exploring new locations to drill oil and natural gas along the ocean floor. Switching to renewable energy sources isn’t just for governments and electric companies to focus on. In fact, numerous companies like Google and Microsoft have tried to make an impact on the environment and their bottom lines by lowering their overall energy consumption. Google is well-known for its massive data centers established around the world. These data centers produce a great deal of heat, which require a massive amount of electricity to cool down. To address the problem, DeepMind AI used machine learning algorithms to reduce energy cooling on its Google data centers by 40%. Aside from greatly reducing their utility bills, it also helped to lower overall emissions, reducing the carbon tax they would otherwise have to pay. AI, machine learning, and big data certainly have a long way to go in the energy sector. With developed countries aiming for a completely green economy, maintaining a balanced, resilient, and reliable power grid is of top priority. That’s where smart grids step in. Smart grids are power grids which combine the power of IoT, AI, and big data to create a digital power grid that enables a two-way communication between consumers and utility companies. Smart grids are equipped with smart meters, sensors, and alerting devices which continuously gather and display data to consumers so they can improve their energy consumption behaviors. It can also be fed to machine learning algorithms to predict demand, improve performance, reduce costs, and prevent system failures. Although smart grids are being adopted in several developed countries, we still have a long way to go before switching to 100% renewable energy sources, AI-controlled power distribution, and grid management. The future of renewable energy resources and smart grids looks bright. The emergence of machine learning, the ongoing optimization of AI, and big data analytics have vastly expanded what is possible. However, there’s still much to be said for partnering with the right experts to ensure you get the most accurate, insightful, and actionable information out of your data. That’s where data science platforms like RapidMiner can come in. RapidMiner is a unified software platform that guides you from the early steps of data prep to deploying your predictive models. RapidMiner can help you to maximize efficiency to meet energy demands and satisfy your customers. Get started with a 30-day Free Trial or contact us about your project. Cloud technology is virtually everywhere in today’s world, though thousands of nonprofits working in remote areas haven’t been able to take advantage of the benefits that it offers. In a nutshell, cloud technology allows users to access both software and hardware over the internet. The centrally stored data that is the backbone of cloud computing technology offers several benefits for nonprofit organizations, specifically through maximizing the effectiveness of shared resources. In practical terms, the remote access offered by Azure Cloud for nonprofits allows grant writers to work remotely. Instead of having to travel into a central office, aid and humanitarian workers can spend more time in the communities they serve while managing to communicate with donors, send out reports, and stay on top of other office work. At the same time, this nonprofit digital transformation can also help organizations drastically reduce operating costs, perhaps even allowing them to get rid of a costly IT department. 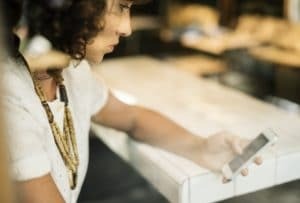 For organizations that manage sensitive documents and information, services such as cloud CRM software for nonprofits can also help them reduce their technology risk. Microsoft has been a global leader in helping nonprofit organizations adopt technological advances such as cloud computing services. To date, they’ve spent well over $ 2.5 billion to expand the digital transformation of nonprofits across the globe. Microsoft has also been instrumental in helping to lower the costs associated with this transformation. AKA Enterprise Solutions recently won the 2018 Microsoft U.S. Partner for Social Impact Award for our work in helping diverse nonprofits on their path to digital transformation. As a Microsoft partner, AKA has been instrumental in helping humanitarian and aid organizations discover the benefits that cloud computing services can offer. AKA has also been invited by the leadership at Microsoft to join the NetHope team. 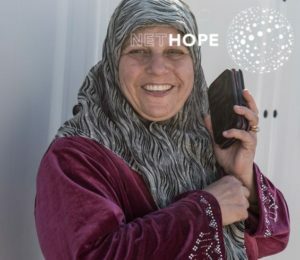 NetHope brings together over 50 global non-governmental organizations that specialize in improving IT connectivity among humanitarian organizations in developing countries and areas affected by disaster-related events. NetHope, Microsoft, and partners like AKA have a specific methodology to help advance the digital transformation of nonprofit organizations. It’s called the D3 framework, and it’s summed up in three words: Dream, Design, and Deliver. The D3 framework connects nonprofit organizations with a pathway towards digital transformation. First, NetHope partners like AKA work with a client to create a “Dream Book” filled with ideas for transforming their organization. Next, we Design a solution that can meet and exceed their expectations. Finally, we Deliver on this solution, ensuring that it’s implemented properly for the nonprofit. On November 5th, the NetHope Global Summit 2018 is set to begin in Dublin, Ireland. This year’s theme is focused on digital transformation. We here at AKA look forward to contributing as an important member of the NetHope team. AKA Enterprise Solution has a wealth of experience in helping nonprofits discover the benefits that come with a total digital transformation, and our goal is to share that experience with other NetHope partners. For nonprofit organizations that are stuck in the office filling out reports and submitting grants, adopting cloud computing services and other aspects of digital transformation can help increase overall efficiency. Here at AKA, we’ve helped nonprofits like Commit2Dallas, Lifeworks, and others revolutionize the way they operate. Contact AKA Enterprise Solutions to learn more about how we can help your nonprofit organization do the same! Artificial intelligence is the future of business — that much is clear. In the next year, more than 31 percent intend to adopt some form of AI, according to Adobe, and a whopping 72 percent of company leaders believe that AI is going to be “fundamental” in the future. But as enterprise barrels toward an AI future, how is it changing product development and business models? A panel of experts attempted to answer those questions at VentureBeat’s Transform 2018 summit. Among them was Faizan Buzdar, senior director and platform manager at cloud storage provider Box; Wilco van Duinkerken, head of product at Trivago; Jon Fasoli, director of product management at Intuit, and Jana Eggers, CEO of Nara Logics. For Buzdar, AI’s effects on the business stack are “already palpable.” He’s in a position to know: Box recently acquired Butter.ai, a contextual search service powered by machine learning, to improve its real-time filing filtering. (Butter.ai’s technology is designed to help businesses search across multiple enterprise services such as Google Drive, Trello, Evernote, Confluence, and Dropbox.) And in June, the company formally launched Box Skills, a suite of apps that add new features and functionality to cloud-hosted files — including an image-processing Skill that uses Google’s Cloud Image API, an image and document analysis school powered by IBM’s Watson, and an audio-based Box Skill that leverages Azure for speech. From Trivago’s perspective, data is the valuable fuel that drives the AI machine. As Van Duinkerken explained, its travel platform improves with more interactions: the more it knows about travelers’ propensities and preferences, the better it can tailor results to them. It recently made key acquisitions on that front — of TripHappy, a U.S.-based startup that analyzes more than 25,000 neighborhoods in more than 10,000 cities to secure personalized bookings for travelers, in May, and of Tripl, a technology firm that generates travel recommendations from users’ social media accounts, in September 2017. Van Duinkerken noted that AI systems have to be implemented carefully, though. Without an appropriate degree of vetting and transparency, biases can creep into datasets and algorithms. Fasoli agreed; algorithms have the potential to “automate monotonous tasks” and “boost profitability,” he said, but if business leaders aren’t educated on the potential pitfalls, they could become effectively useless. Eggers took a slightly more optimistic view. She cautioned against uninformed enthusiasm for “buzzy” trends like deep learning and neural networks, but said that despite the challenges ahead, AI stands to be transformative — particularly in retail and finance. Nara Logics, a Boston-based company specializing in content matching, uses AI to power its product recommendation platform. It managed to double the conversion rate of Olay, and with Skin Advisor, it increased average customer basket size by 40 percent in China alone and cut the bounce rate of visitors to a third of what it was previously. “My recommendation [to businesses]: hire some great software engineers who will be excited about using AI,” she said. Artificial Intelligence Is Changing The Translation Industry. But Will It Work? Artificial intelligence (AI) has infiltrated numerous aspects of our lives in recent years, thanks to improvements in the field of machine learning, where computers ostensibly program themselves. This drive towards digital self-learning has led to major breakthroughs in our day-to-day interactions with machines, most notably the rise of digital home assistants such as Amazon Echo, and the recently launched Google Lens, which identifies objects based on visual cues from your phone’s camera. One of the most widely-discussed advances has been the use of AI in translation. Not unlike the Babel Fish from The Hitchhiker’s Guide to the Galaxy, with AI translation, “you can instantly understand anything said to you in any form of language.” The technology works by recognizing words individually and then, as MIT Technology Review puts it, “takes advantage of the fact that relationships between certain words…are similar across languages” to create its translations. It has already found its way into a number of our most commonly used websites and platforms, with even grander plans in the pipeline – but just how reliable is the technology? There’s every chance you’ve already seen AI translation in action, whether on your Facebook feed or through browsing international pages in Google. Microsoft has recently developed its own Translator app, which not only translates text, but also speech, images, and street signs. Microsoft’s big breakthrough with this app is the fact that Translator can run offline, which has ideal real-world advantages for those traveling in areas with limited connectivity. Facebook’s translation system underwent a major overhaul last summer, introducing AI as its primary method. While the system initially worked by translating phrases, AI takes the context of an entire sentence into consideration, making for much more accurate results. The site’s “rate this translation” function also allows the neural network to update in real time through user input. Speaking to Wired about deep learning in general, one Google researcher noted that “People naively believe that if you take deep learning and…1,000 times more data, a neural net will be able to do anything a human being can do, but that’s just not true.” Despite its rising popularity, AI translation is not quite there yet compared to experienced human translators. Is there an artificially intelligent future for translation? Until AI can be as accurate as a human translator, a platform like Unbabel, which recently secured $ 23 million in funding to continue its development, could provide a workable future for machine translation. With assistance from human translators, who can not only correct but help teach them in a way that machines cannot teach themselves, AI translation could find itself on the right track. For now, however, the technology is arguably not yet fit for purpose on its own. Learn more about how translation services are evolving in From The Business Of Language To The Language Of Business: The Future Of Translation Worldwide. I made the point that natural resources companies are challenged at comprehending the second, third, and fourth order effects of how technology trends might impact their industry. In this blog, I will explore how the way we do things will impact the natural resources industry. When did you last try servicing a washing machine, a TV, or a microwave at home? It’s fascinating that in our personal lives, it seems that it is usually cheaper to replace our appliances than to try to service them. By contrast, natural resources companies spend huge amounts of money on maintenance. There are no two processing plants that are the same and, for the most part, equipment is custom-built to deal with the industry’s scale and remote operations. The impact is the high cost of maintaining and operating this equipment, requiring large workforces to exist in conditions that no human really wants. Many companies are focusing on automation of this equipment to remove humans from these environments, improve safety, and decrease costs. While this is good, it has not delivered a true step change yet, as the equipment hasn’t fundamentally changed. It’s still big, heavy, and bespoke. The real question is, does it need to be? Take, for example, the large, yellow truck, an icon of the industry. The reason we had big trucks in the first place was that, with older technologies, bigger was more efficient, with the added benefit that bigger trucks meant we needed fewer people on mine sites to drive them. As these trucks become autonomous and technology (like electric drive) improves their efficiency, the question is, can they become smaller? What would happen if we used standard, commercial, autonomous trucks, a 10th of the size? All of a sudden, we would be in the world of trucks produced at mass scale for the transportation industry, plummeting prices of purchasing, maintaining, and servicing them. In addition, smaller commercial trucks are faster. A limitation of large trucks is that their speed is limited by their large tires that overheat. A larger fleet of smaller commercial trucks could become more economical and faster than large trucks built specifically for the industry. We could have the same situation with things like crushers and conveyors, which are big because they are filled by big trucks. What would happen if we made them smaller and had more running in parallel? This would spread the failure risk and likely reduce the impact of downtime and increase overall availability. The same thing applies to conveyors. Other industries, like manufacturing and baggage handling, have millions of more miles of conveyor systems, so by making mining conveyors similar to those industries, we can take advantage of mass manufacturing and equipment is more likely to become highly commoditized. In the future, mining equipment will likely be smaller, mass-produced, and recyclable. Equipment won’t be bought with the expectation that it must survive for the life of the mine. It will be replaced frequently, allowing mining companies to keep up with rapid advancements in technology. History has proven that, as technology evolves, so do humans. During the first industrial revolution, workers were concerned that machines would replace farm laborers. They did, yet society prospered. The second industrial revolution’s factory lines proved craftsmen’s fears true about being replaced, but these factories also created more jobs. The third industrial revolution saw electronics enter the manufacturing world, and again workers despaired. But we adapted and society thrived. Here we are at the fourth industrial revolution where the cyber and physical worlds meet. Artificial intelligence, machine learning, and robotic process automation have become a reality, and again we worry that technology will replace our jobs. The reality is that it probably will. There are a lot of studies trying to predict which jobs are likely to stay and which jobs likely to go. I think it will be very difficult to predict. Will artificial intelligence, natural language processing, chatbots, and virtual reality allow robots to adopt human-like qualities, making it difficult to differentiate us from robots in the future? When I talk to resources companies about the business benefits of back-office automation, the conversation often leans towards efficiency, which by implication means we will need fewer people to benefit. What companies often miss, though, is that the real benefit of efficiency is not created by reducing heads but rather by increasing effectiveness. I estimate that the benefits of efficiency are about 1/10th of the benefits created by higher effectiveness. Efficiency, in isolation, normally only focuses on bottom-line improvement, while effectiveness creates new ways to improve the top line while also reducing the bottom line. Imagine if resource companies could free up minds normally trapped by mindless, repetitive tasks and focus them on “opportunity and effectiveness thinking”? As an industry, we have hopelessly underinvested in R&D. Not because we don’t have some of the smartest minds, rather because we have been focused on improving efficiency and reducing the cost line. Opportunity thinking is the driving force behind innovation, and this is what differentiates us from machines. Machines learn by following trends and thinking logically. Humans learn by doing and thinking differently. At SAP, we are actively developing new technologies, such as SAP Leonardo, that help natural resource companies manage their supply chain, trade commodities, and deliver smart manufacturing. In today’s blog, we will walk through the steps on how to change the Dynamics 365 Social Pane View to Activities on a form. 1. Open the Form you would like to change. 3. In Form Editor, double click the middle section of the Social Pane. 5. Select Show Selected in the Filter by section. 6. Select the Activities module. Now you know how to change the Dynamics 365 Social Pane View to Activities on a form. For more helpful tips and tricks, be sure to subscribe to our blog! At the recent Strata San Jose Conference, Paige Roberts of Syncsort sat down to speak with Roni Fontaine, Director of Product Marketing at Hortonworks. In the first of our two-part interview, Fontaine speaks about what’s new at Hortonworks as well as the ever-changing landscape of data. Roberts: Can you introduce yourself for our readers. Fontaine: Hi, I’m Roni Fontaine. I’m a director of product marketing at Hortonworks and I handle our HDP, our Cloud, and our IBM Db2 Big SQL solutions for the company. The partnership with IBM has been really big this year. It definitely has. We announced the partnership last June, and what’s really great about the partnership is it’s a two-way partnership. IBM is now replacing their Hadoop distribution with HDP and they’re reselling HDP and HDF, which is Hortonworks Data Flow, which is our streaming product. We’re reselling the IBM DSX, their Data Science Experience as well as IBM Db2 Big SQL. We’re doing some joint events with them, digital campaigns and that sort of thing. So, in addition to your normal product marketing for Hortonworks, you’re doing some product marketing for IBM. Yeah, for Db2 Big SQL. Exactly. As a matter of fact, myself and the offering manager for Big SQL just completed a webinar on March 28 called Making Enterprise Big Data Small with Ease. There seems to be a lot of interest in SQL and Apache Hive and Db2 Big SQL. On the HDP side, I know Apache Hadoop 3 just came out. What do you think is the coolest thing about that? The thing that we’re excited about is erasure coding. Right now, the 3X replication method of storing data has an overhead of about 200%. Erasure coding will reduce that overhead by about 50%. There’s also containerization, which will make it really fast and easy to roll out microservices and applications via containers. There’s NameNode Federation, which will help for scaling. There is NameNode Standby which has to do with High Availability. And then there is GPU Support which everyone is very excited about because that will really help with the performance and speed for all that data. I did a blog post on How Apache Hadoop 3 adds Value to Apache Hadoop. I noticed that a lot of the newer data science tools are supporting GPUs now. As far as the Strata conference, and the Big Data industry in general, what are some of the big changes that you’ve seen over the past few years? I think that they’re trying to go beyond Hadoop and be known as a data conference because you can include more topics, such as machine learning, data science. Last year Internet of Things was really big. Another thing I’ve noticed is there’s definitely a lot more interest in Cloud. It’s a lot easier for smaller companies to migrate their workloads to the Cloud or even just start up in the Cloud, depending on how old the company is. What we’ve learned from talking to customers about moving their workloads to the Cloud, is they’re really concerned about enterprise security. Security is still huge, security and governance. Yeah. I’m seeing a big up-surge in governance concern. Especially with all the GDPR excitement. Exactly. So, that’s another big topic. There’s also been a change in how the software looks, and maybe this is just me noticing it, but a big change in the GUIs. There are a lot of visualizations and graphics. I was in a talk on Hadoop 3.0 today, and they showed the new UI for YARN, which is the common circles and graphs that you see in everything. It makes it easier to use. It seems to me like the whole ecosystem of Big Data is moving towards more ease of use. I mean, the first push was, make it awesome. Make it work, make it fast, make it big, make it scale. Now the push is more to make it easier to use, make it more useful. The rate of data is just exploding, so this has to be able to scale. We thought it was big before. It gets bigger every year and it seems like there’s always a need to get rid of all of these data silos. No matter what we do, it seems like we end up getting new silos and then we have to grow out our data, to access all that. The whole idea was, hey, forget these data silos, put all your data in the data lake, and now everybody has 14 data lakes, and they don’t know what to do. Tune in for the next installment when Fontaine explains some of her experiences as a woman in the tech world. Make sure to download our eBook, “The New Rules for Your Data Landscape“, and take a look at the rules that are transforming the relationship between business and IT. Attending either of the DataWorks Summit events? See us in Berlin from April 16-19 and in San Jose from June 17-21!